Christmas shopping | Let's Get Deals Today! Four shopping days left to Christmas and you have three more gifts to go. There’s plenty of time to get out and buy those last gifts. RealSimple.com: Looking for something unique? Real Simple’s Holiday Gift Guide might be your ticket to a really awesome gift. Each of the four categories are chockful of unique and affordable gift ideas for nearly everyone: 22 Gifts for Women, 27 Gifts for Men, 34 Stocking Stuffers Under $25, and Gifts for New Home Owners, New Parents And New Grads. Life really is made more simple with the Real Simple gift guide! Gifts.com: Last minute shopping has you flustered? Perhaps Gifts.com’s handy Gift Finder can help you out. Simply put in recipient, occasion, and price range, and you get a list of gift ideas complete with prices as well as retailers selling those items. Need a gift idea for a teen and want to spend no more than $50? Here’s the list that Gifts.com provided: Gift List for Teen. Now that’s easy! Amazon.com: Stumped on what to get Dad? Then check out Amazon’s Gift Ideas. Amazon has compiled an extensive list of ideas in a wide variety of categories including “Gifts for Dad.” Click on your preferred category and you will find even more ideas. Bet you can find something here for Dad! RedEnvelope.com: RedEnvelope has brought together a unique collection of gifts at a wide variety of price points. You can search through several categories as well as price points to find that ideal gift. Still not sure what to get? Perhaps RedEnvelope’s 4 Tips and Tricks to finding your perfect gift can guide you. Want to save more when you order with redEnvelope? Then check out their current coupons at redEnvelope Coupons. Most are valid until January 4th. Using the coupon code, SGIFTS20, gets 20% off your order. Giftys.com Find unique gifts and get great gift ideas at Giftys.com. Giftys.com’s slogan is “Your online gift mall” and their goal is to make gift finding easier and less confusing. Refine your search by recipient, occupation, hobby, gift type, and/or price to even further narrow your search. Searching for that perfect gift for Mom with a budget of less than $100? Check out Gifty’s selection: Gifty’s Gift Selections Under $100 for Her. Once you find that perfect gift at one of these convenient gift idea websites, you might want to search for coupons at Retail Me Not. Don’t forget if you are purchasing online to also check if the retailer participates in the Mr. Rebates program! What’s your favorite gift idea this holiday season? Tell us in the Comments section below. 12 December Deals to Make Your Holiday Complete. Are you looking to pick up those remaining gifts on your list? Read on for some ideas to help you save more! But act fast … several of these deals end tonight at midnight! Amazon.com Gold Deals and Lightning Deals: Amazon daily deals continue with its Gold Box Deals and Lightning Deals. Need a few more toys? Today’s Gold Box Deal is 50% off select Melissa & Doug toys. This week’s Lightning Deals have included toys, gaming system supplies, tools, and fitness equipment and many other items. Who knows what tomorrow may bring? Perhaps just what you are looking for, and at a great price. Mr. Rebates: Shopping online? Be sure to check out Mr. Rebates’ “Cash-Back Christmas” special: Over 500 Mr. 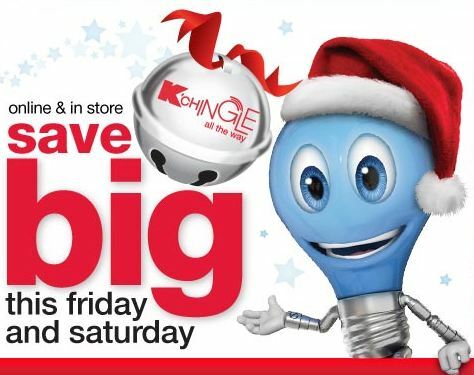 Rebates stores have increased their rebates just in time for all your holiday shopping needs. Walmart increased its rebate from 1% to 5%. Nordstrom is now 8%, Famous Footwear is 12%, ShoeBuy.com and ShoeMall.com are both 15%. Now that’s what I’m talking about! 15% back! And better yet: each time you shop one of these “Santa’s Extra Cash-Back Stores”, you could win an instant $100 bonus prize. What’s not to like about that! Kohl’s: Don’t forget about Kohl’s! Their 20% off sitewide through Sunday, is a sweet deal (use promo code, “SECRETSANTA”). Want more? Then how about $10 Kohl’s Cash for every 50$ spent! Wait … did I hear you say more again? Then make that Kohl’s purchase through Mr. Rebates, earn another 5% cash-back and qualify for a chance to win a $100 Mr. Rebates Cash-Back Christmas bonus! Toys-R-US: So many deals and toy offers at Toys-R-Us, I’m going to direct you to their website to find them all! Shop online through Mr. Rebates, add another 5% cash-back and have yet another chance to win a $100 Mr. Rebates Cash-Back Christmas bonus. And if your online purchase is $49 or more, free shipping. Go on, get that extra toy. Sears: What doesn’t Sears have? Bet you can find something on your list here, and with their 2-Day sale, get an even better price. Shopping Sears.com? Use promo code “REALJOY”, and get free shipping. Add more savings by clicking through Mr. Rebates. You get an additional 4% and qualify for a chance at that $100 Mr. Rebates Cash-Back Christmas bonus. TigerDirect.com: A new camera on someone’s wish list? Maybe TigerDirect’s 48 hour camera sale will have just what you are looking for. Better yet: make your purchase through Mr. Rebates and get a 6% rebate on top of the great sale prices! Even better: TigerDirect.com is one of Mr. Rebates Cash-Back Christmas stores, meaning a chance to win a $100 bonus. ShoeBuy.com: ShoeBuy’s Once A Year Holiday Kickoff Sale might be just the ticket to kick off those last remaining items on your gift list! Using coupon code “KICKOFF”, you will get 15% off your order and free shipping. Make that purchase through Mr. Rebates, add on another 15% cash-back rebate and another chance to win a $100 Mr. Rebates Cash-Back Christmas bonus. What’s not to like about that! And remember: ShoeBuy.com sells more than just shoes. Lands’End: Does $40 off orders of $100 or more sound like a good deal to you? With free shipping? 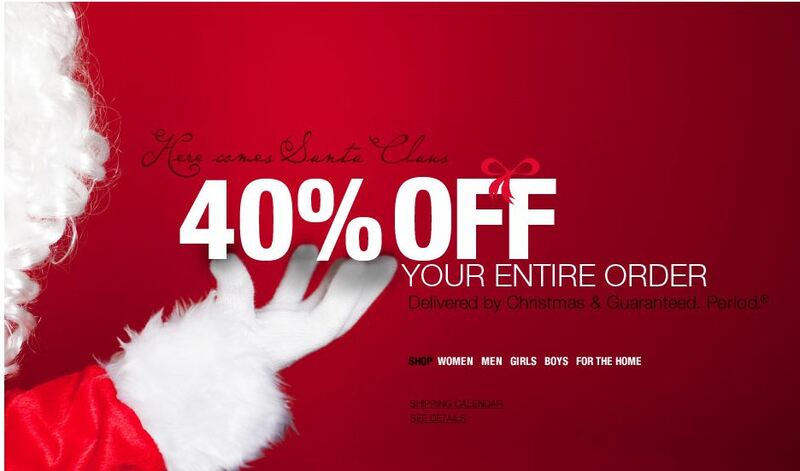 Then check out Lands’ End today as this offer ends at midnight tonight, Dec. 8th. Click through Mr. Rebates and get another 5% cash-back rebate and have another chance to win a $100 Mr. Rebates Cash-Back Christmas bonus. Bath & BodyWorks: Celebrate the season with something special from Bath & Body Works. Make it even more special with their 2-day 20% off deal using promo code “CELEBRATE20”, and free shipping with orders of $50 or more. Add another special touch with a Mr. Rebates 3% cash-back rebate. Keep everyone smelling nice over the Holidays! LLBean: Need something for that “outdoorsy” member of the family? Consider these LLBean deals: 10% off your entire purchase through Dec. 15th, $10 gift card for purchases greater than $50, and free shipping. Note: To take advantage of the 10% offer, you will need to click through an LLBean-originated offer which are available via e-mail, Facebook, Twitter, and on-line advertising posting, or use coupon code CVJ0121. Purchasing through Mr. Rebates adds 3% cash-back to your wallet. Note: LLBean is not part of the $100 bonus Mr. Rebates Cash-Back Christmas offer. Southwest Airlines Click ‘n Save Deals: Check out Southwest Airlines 3-Days of Click ‘n Save Deals for some sweet deals. I just found a $352 fare from Philadelphia to San Diego, and $304 for Baltimore to San Fransisco, and $200 for Baltimore to Orlando. Not bad! NOTE: This special offering ends today, Thursday, Dec. 8th, so if you want to take advantage of this deal, don’t delay! SouthWest Vacation Deals: Book a SouthWest Vacation package through Mr. Rebates and receive a 2% cash-back rebate in addition to some already nicely priced vacation packages. Are you ready now complete your holiday shopping list? What are you shopping for today? Share your favorite shopping deal.